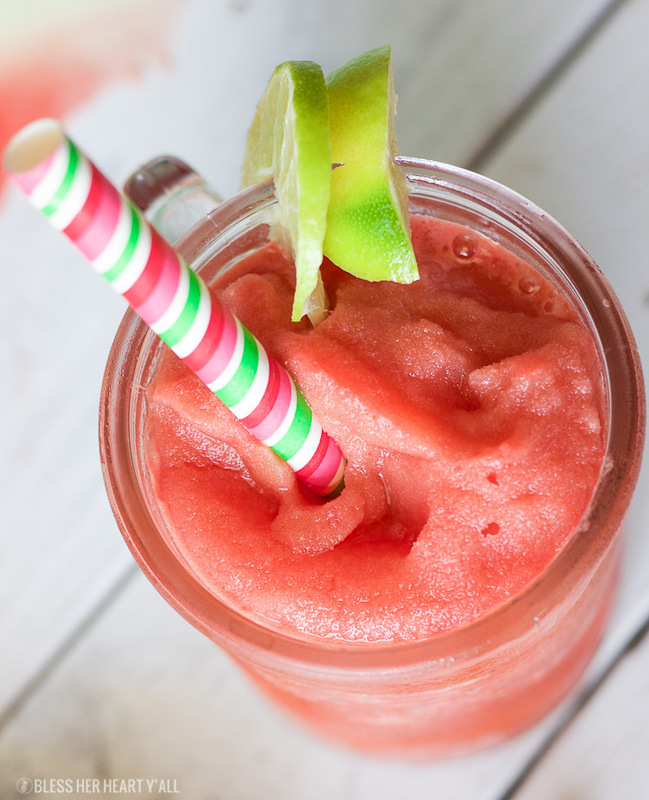 Frozen Watermelon Jalapeno Bellini - A Cool & Refreshing Buzz! 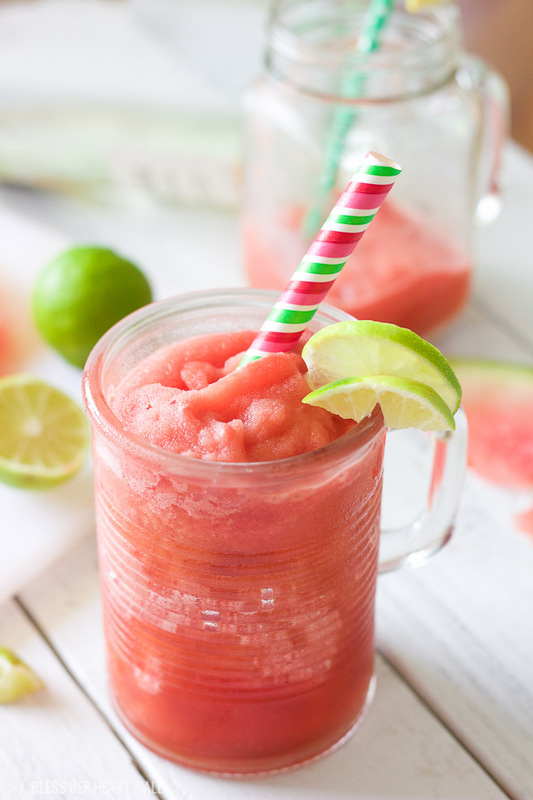 This frozen watermelon jalapeno bellini recipe is what any summer weekend calls for! 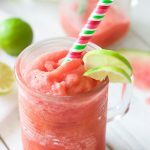 Frozen watermelon is mixed with fresh jalapeno, lime juice and sparkling wine, and a sprinkle of coconut sugar for a cool refreshing cocktail that’s the perfect amount of sweet with a spicy finish! I don’t know about you but for those of us on East Coast time, it’s 4pm on Friday afternoon. It’s the middle of July. And I am in Georgia. 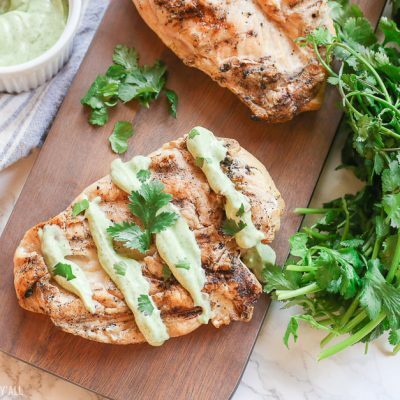 And just in time for you to pop by the grocery store on your way home if you don’t have all of the ingredients for this recipe. I just made a pitcher of this frozen watermelon jalapeno bellini recipe, photographed it, and am now sitting at my computer typing this post up with my second glass of this refreshing drink in my hand (don’t believe me… check out my Snapchat @J.Trogstad). I’ve never been afraid to admit that I like the easy way of doing things. Y’all, this recipe couldn’t be any easier! Toss in your frozen watermelon (or if you can’t wait for it to freeze, use a chilled watermelon and just know that it will be less of a frozen slush consistency when you are done), your sparkling wine (or sparkling grape juice for a tasty mocktail! ), fresh jalapeno (or nix the spicy pepper all together if spiciness offends you), and a spoonful of coconut sugar. This frozen watermelon jalapeno bellini recipe is what any summer weekend calls for! 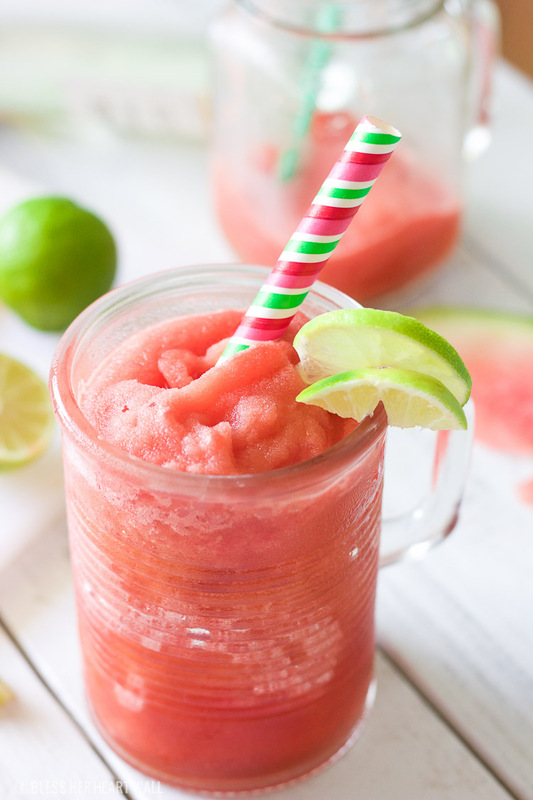 Frozen watermelon is mixed with fresh jalapeno, lime juice, and a sprinkle of coconut sugar for a cool refreshing cocktail that's the perfect amount of sweet with a spicy finish! 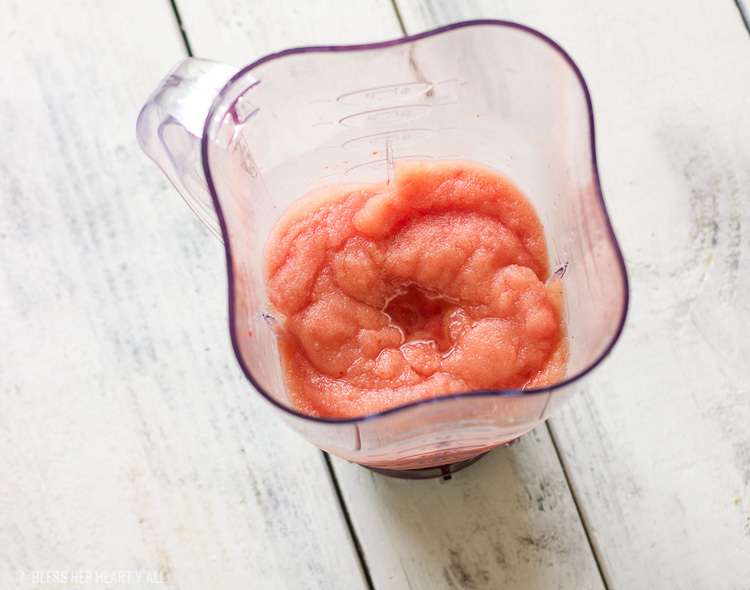 In a blender, blend all ingredients together until smooth and delicious. Garnish with fun summer-y things and enjoy y'all! Bless Her Heart Y’all does not condone underage drinking. Please keep this a 21 and over beverage, k-thanks! And check out our other watermelon recipes: Watermelon Stir Fry and Grilled Watermelon Kabob Skewers! 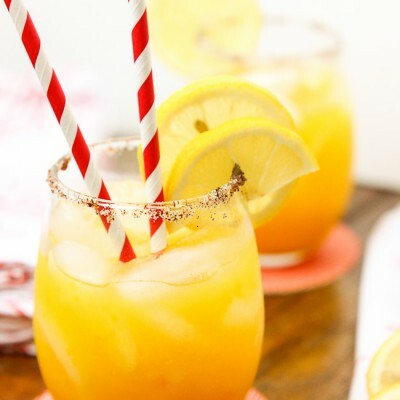 This bellini is perfect for the heatwave we’ve been having! Love that you’ve combined watermelon and jalapeno. So fun! Saving to make this weekend. This will cool me off as I have NO AC in the house right now! No AC! Ugh! I know exactly how that feels. Our upstairs AC unit died on us and it was so hot. I hope you get AC soon and in the meantime that you enjoy your watermelon bellinis! Wow what a spicy combo! Sounds perfect for a hot summer’s day. I’ve never actually made a cocktail with fresh watermelon but I’m super keen to try, especially if I can throw in a little jalapeno too. Yum! Wow! What a beauty! 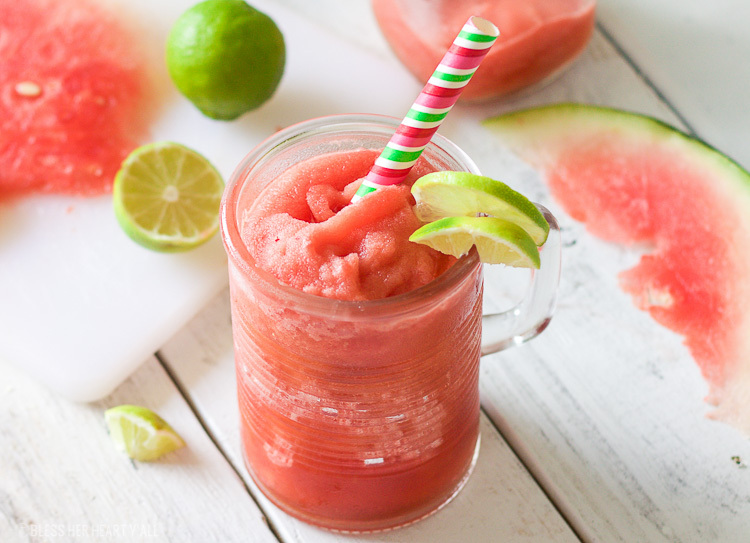 This frozen watermelon bellini looks so refreshing and sounds wonderful! Watermelon and jalapeño sounds like the best combo ever. It really is the best combo ever. Sweet and spicy for the win! It is interesting isn’t it? It may sound weird but the sweet and spicy combo is more than delicious! OMGOSH, totally drooling over here. 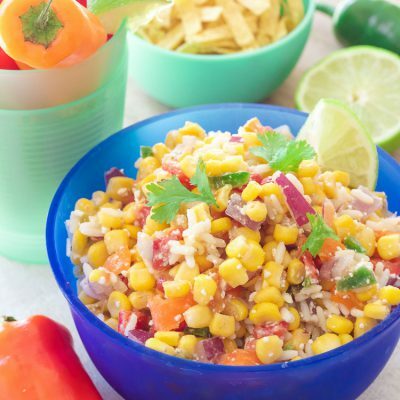 I’d love to make these on a hot summer day by the pool Love the added jalapeno pepper as I bet it adds a nice flavor and a little heat! A pool is basically the only thing missing from this recipe to make it perfect. I could use a pool right now! I love a good frozen cocktail! Yummy! I could get used to a Texas summer! Happy hour everyday is what I’m talking about! Watermelon + Jalapeno, what an interesting combination! I have never made a drink with these two, but I guess I will thsi weekend! My kind of cocktail! So refreshing and love the addition of a little heat.